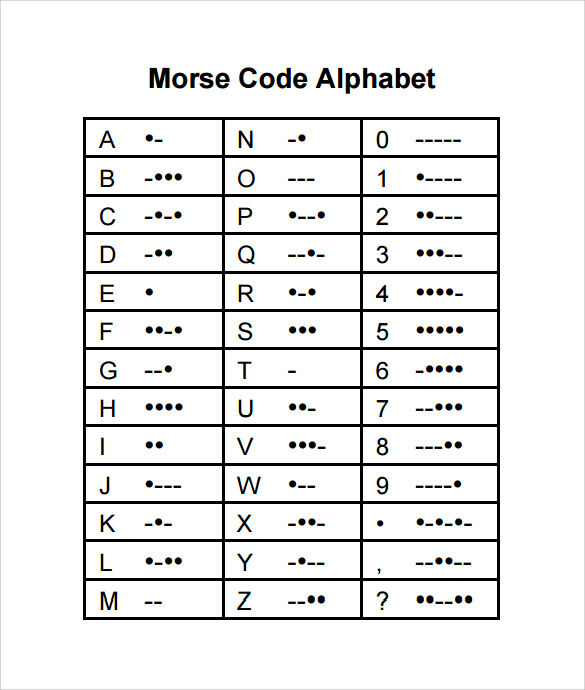 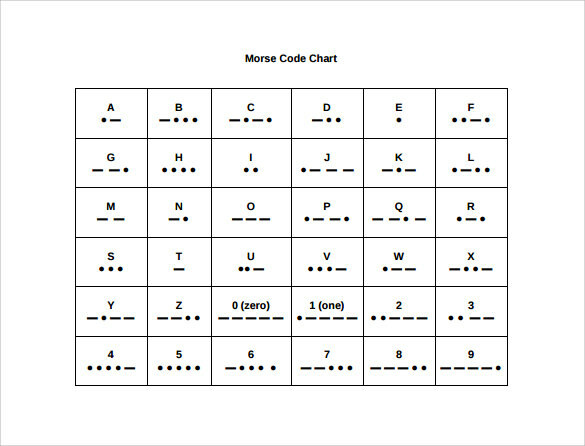 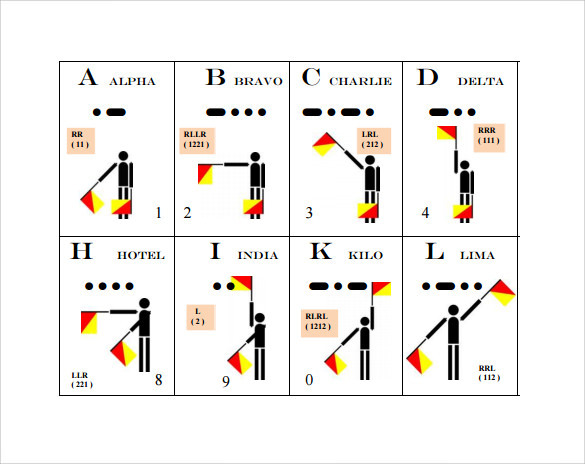 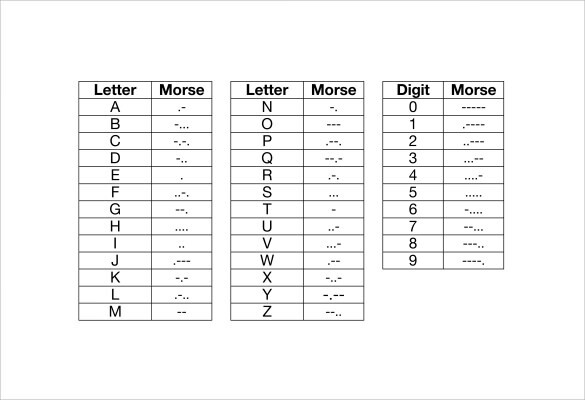 If you want to learn the Morse code, this Morse code alphabet chart will be of immense help. 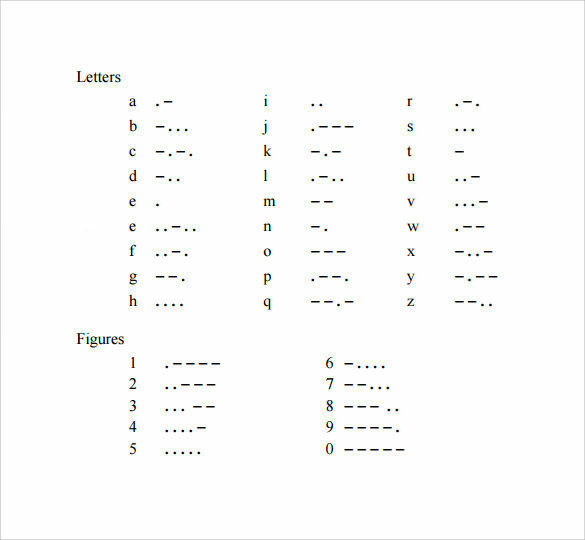 It is a collection of all letters, digits, accented letters and punctuations expressed in dots and dashes. 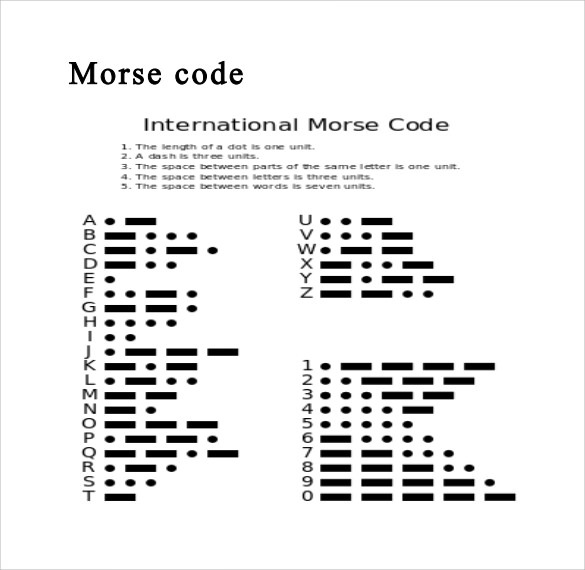 In the earlier military communications, this code was used to send coded messages in battle or during tense times between countries. 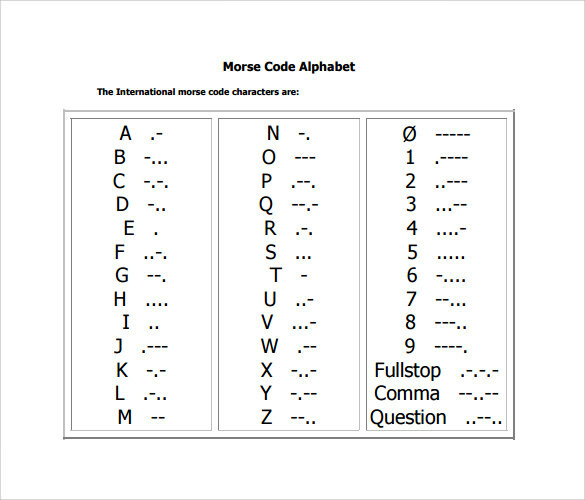 It however is not very common nowadays as there are more advanced ways to encrypt communications in a military system. 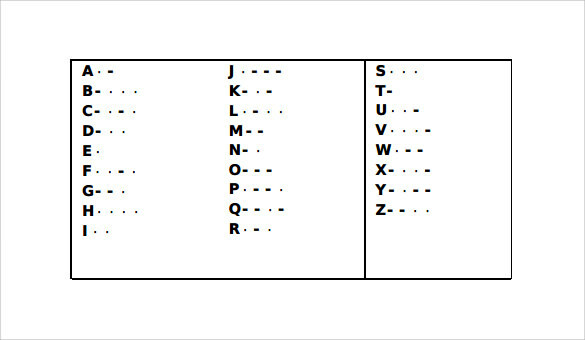 This Military Alphabet Chart can be downloaded from our site in formats like Word, Excel, PSD and PDF. 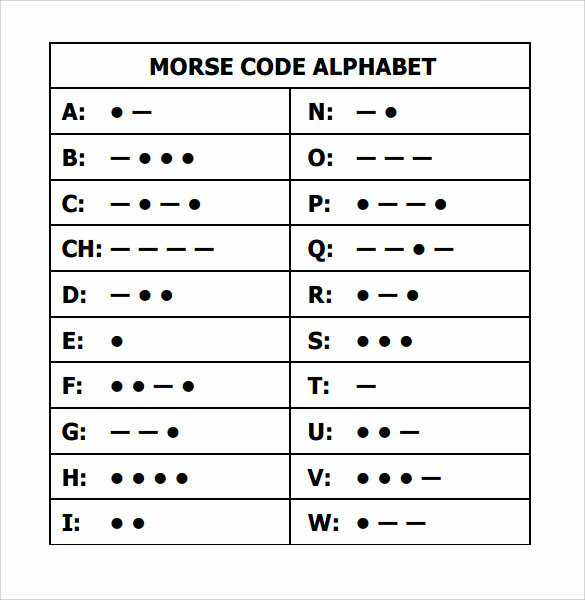 You can also print it out and pin on a wall to accelerate the learning experience.